Renowned ‘social media guru’ Gary Vaynerchuk has released a book called Jab, Jab, Jab, Hook. The basic principle is that your attempts at selling in social media will not be successful if you have not spent time ‘softening your target up’ with jabs first. A boxer who keeps going for the knock-out punch all the time will not be very successful, as it is too easy to avoid his wild swings. Similarly, if all you do is jab, then you won’t ever get the knockout punch (the hook). I agree with his principles, I just think the analogy is too aggressive, and doesn’t really expand on what the jabs and hooks should be. It’s essential that you start with listening, to understand the people with whom you want to build relationships. There are great tools available now to help with this, but really Twitter and Google search and some good old fashioned effort can get you there too. Once you have been listening for some time and you feel ready, start by engaging with your prospects. Find common points of interest, ask questions, things that will encourage conversation and relationships and all that good stuff. Give something. Add some real value. By now you should have worked out what your potential customers are trying to achieve. So help them achieve it, using your own social platforms or other means at our disposal. They will love your for it, and want to repay you. 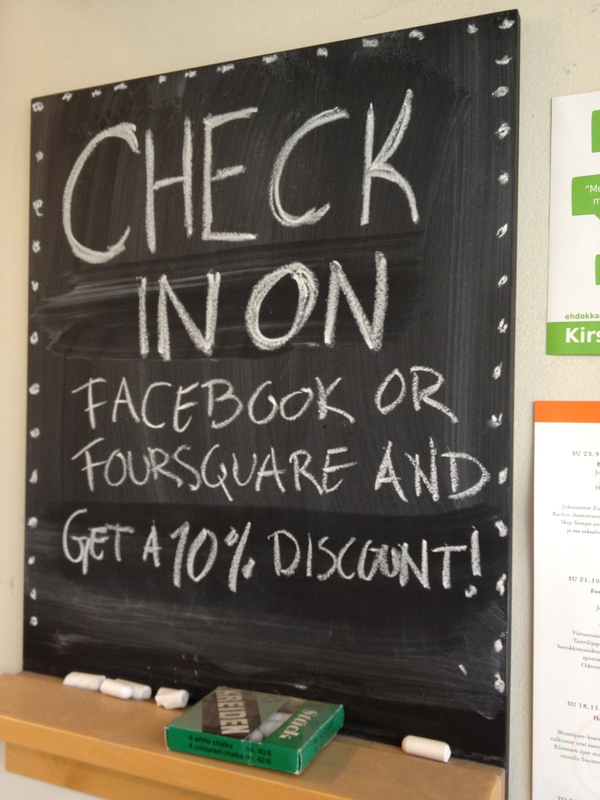 It’s clear that Social Media is becoming a great place to drive sales. But remember to keep Listening, Engaging and Giving, so that you don’t become Spam. There are some examples of digital advertising generating demand for a product, but they are unpredictable – a viral sensation that is hard to manufacture. It seems that the real money is on digital media fulfilling the demand created by more predictable “mass-media” tactics – TV, PR etc. The brilliantly controversial Ad Contrarian has said that the internet shouldn’t really be used for advertising at all, or at least only for Google ads and certainly not for those tiny little Facebook ads. He points out that targeting ads in a highly specific way, based on demographics, does not seem to work in building a strong mass-market brand. This goes against the new conventional wisdom, which is that targeting will change everything. However, about a year ago, Facebook released its new FBX ads. These ads are not targeted based on the huge amount of demographic information Facebook hold. Instead they are based on your browsing history, on promoting things that you have already looked at on other sites. 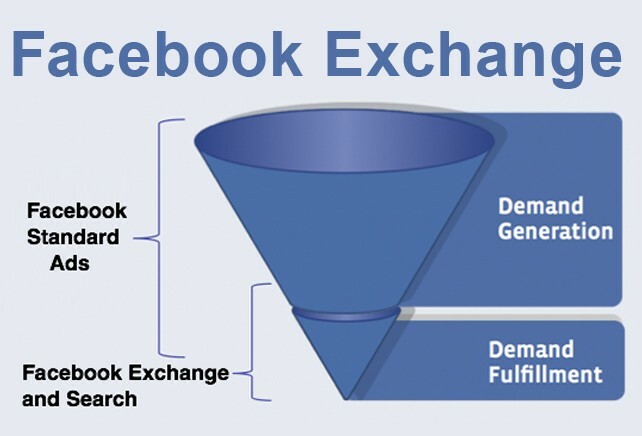 So, what Facebook is doing, is moving from trying to generate new demand, but rather fulfilling the demand that has already been generated. I see a travel show on TV suggesting a trip to Bali. Or someone mentions their trip, and it sounds cool. The demand has been created. So I check it out on a web site (and get a cookie), but I’m not ready to buy the holiday now. The genius of Google is that – whenever I am ready – I will search for it. And Google will be there at that very moment to take their slice. WIth FBX, Facebook will be showing me adverts for Bali now. They will also have a chance of “fulfilling” the demand that was generated elsewhere. And perhaps, with this, Facebook also have a chance of fulfilling people’s expectations that they can make money from all of the time people spend on their platform. I’m amazed I haven’t really considered this before, but what we all call Social Media is actually the exact opposite of media. The singular, medium, early developed the meaning “an intervening agency, means, or instrument” and was first applied to newspapers two centuries ago. Conversely, “Social Media” is a set of tools for people to communicate between themselves, platforms for interaction and relationships, not content and ads. What do these social tools (Facebook etc) do? Don’t just build bonfires; take part in them! Been thinking more about bonfires, which many people agree is a great analogy for the types of social marketing activity that many of us are trying to encourage. John has a great slide-set on his blog that is very useful for explaining this concept in very simple and visual terms. Most handy! But there is still one thing amiss with the deck and from much of the overall discussion: The implication is that Brands have to *build* the bonfires. This is understandable, as we are used to building stuff in marketing (ie advertising, microsites). But the fact is that many people already have bonfires, and they usually want to build their own bonfires; you know, with their friends and that. They probably don’t want to come to your Corporate Bonfire. Anyone notice what happened with Bud.tv?! So, to continue the analogy, how can we help people with what they want to do at a bonfire? 3. Most importantly, of course, you could do something *genuinely useful* like put some extra wood on the bonfire to keep the damn thing going! People don’t want to go to hundreds of different bonfires. So, before you go building anything new, find out if there is anything going on already, and think about how you can usefully participate. Fireworks and Bonfires. A true story. Great analogy from the Feeding the Puppy blog: fireworks attract people, but bonfires are needed to sustain peoples’ interest. We put on an awesome and magical firework display to attract people, hopefully even make it cool enough for people to call up their friends and say ‘get down to the harbour, there’s an unbelievable firework display going on!’. We could even put up some cool posters to tell people it’s happening. Of course we let people take part in building the bonfire. We’ll chat to people about what interests them. If it makes sense, we’ll bring up how our product might be useful to them, maybe even show them how it works. Then – since people don’t need chaperoning – we’ll make sure people have enough wood etc to keep the fire going themselves. We’ll encourage someone to take charge – it doesn’t have to be us. Maybe we’ll even leave a guitar or something so they can make their own entertainment. Intelligence may not help survival, but apparently being nice does. Charlene Li recently posted about a study that correlates companies’ Social Media engagements with financial success. As usual, it is well-researched and interesting, and Charlene made clear that this is a correlation and not a causal link. But still some people have got a bit over-excited about the study and claim that it proves that engaging in Social Media improves financial performance. Unfortunately, I could just as easily say that this study shows how far we are from proving ROI, with only the highly profitably companies able to invest in something that cannot be linked to a specific sale. Sometimes I feel like the guy in the picture below – I have faith, but I cannot prove what I know in my heart to be true. It surely makes business sense to be nice and engage in Social Media, no? I can tell you that people trust other consumers much more than they trust advertising, but I just can’t give you a dollar figure ROI right now. So what now? Well, I believe that the lack of proven ROI will force companies to make a choice: they either take a leap of faith and adapt to this new super-social environment, or they stick to the old purchase-funnel thinking and keep their head in the sand waiting for a ROI figure to be produced. I have faith that what appears to be a luxury will turn out to be a necessity; soon all that will be left is the companies that were willing (or able) take this leap of faith and find ways of authentically engaging with their customers. I’ve been working with my boss Arto Joensuu on what we are calling the PESH model. The idea was to find a way of mapping out the different roles that Brands need to fulfill from a digital marketing perspective. The model allows you to accept that not every activity and every venue needs to do everything. For instance, it tells you that a corporate site does not need to be a community, and that a participatory experience does not need to lead to direct sales. Rather than trying to do everything on one site or with one type of social media presence, instead you can build a well-balanced set of initiatives that fit with what you are trying to achieve. Sales/supplying is vitally important for a business, but there are times to do this and times to not. Dell has used Twitter for offers and generated a lot of sales, but that does not mean that Twitter should be used exclusively for sales. As Dan Ariely has pointed out, social behaviour and sales do not often sit well together; separating the two can help people understand what your intentions are. In terms of fitting this approach with objectives, it is important that metrics are mapped to each segment, so that you can tell how much each is adding to your business goals. Advocacy should absolutely be one of your goals, and one good way of measuring this is the Net Promoter Score. We’ve re-drawn the original model now with Participant and Helper on the left hand side which could be seen as representing the NPS: low-scoring Detractors at the bottom and Advocates at the top. “Helper” is not an obvious role for a traditional marketer, but this is one of the most important quadrants, in my opinion. As I have said before, and Faris has also said recently, helping customers is great marketing. It should not be seen as a separate activity done by the Support Team. Great customer service is the most remarkable thing you can do, it makes people happy, and causes your marketing to have Emotional Density. Is the PESH a model only useful for “digital”? On Arto’s blog post, you can read the typically insightful comments from Asi about how it should be tested and extended. Although the model was originally built to map a brand’s social media activities, Asi also believes that the model could perhaps be used for a broader view on what we in marketing should be doing (this is consistent with Asi’s view that essentially everything is now social media). Anyway, we’re still working on this, so input is welcomed! Genius is an overused word, but this student’s re-branding of an energy company is so full of awesome ideas and is definitely built around at least a little bit of genius. It’s that type of genius thinking that is in a way obvious and just about within reach of normal minds; It makes me want to try harder to come up with lateral, tangential thoughts. Don’t know who it was competing with, but I’m not at all surprised that it won a Clio. Seems like Owned, Bought and Earned is getting some press. See Mark Cridge’s NMA piece here and the good follow-on discussion here. Also, people got very excited on twitter by the article in which Fred Wilson pointed out that Earned Media isn’t free. The title of that article was a little misleading, as his main point was much more interesting: Brands earn media primarily by having a great product experience, and by doing fantastic customer service. This echoes my point about pro-active customer service being the key to success in this field: making customers happy means solving their problems but also listening and being ahead of the game and delighting them in ways they didn’t expect. 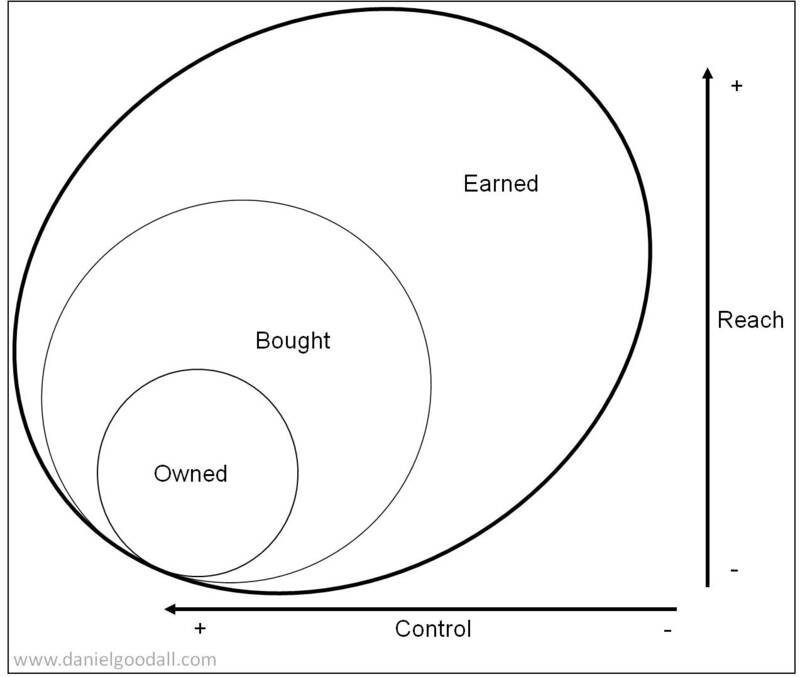 This is good because it shows that the more interesting you make your content in Bought and Owned media, the more your ideas will spread via Earned Media. It is also a reminder you that you lose control in this process: when you seed content, you also cede some control to your customers. We need to stop thinking of Earned Media and WOM as a distinct activity. Now that every media is essentially now social media, we should remember that everything we do has the potential to earn media.